George Carlin had a routine in which he described home as “a place to keep your stuff while you go out and get more stuff.” It always reminds me of something I once read about the movement towards minimalism in the early ’90s — it’s really hard to be a true minimalist, but it’s easy to fake with lots of closets. I feel the same way about dressers, aka closets for people without closet space. 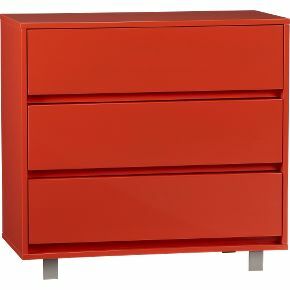 That’s why, next to a crib or bed, a closet is such an important piece of furniture in any kids’ room. 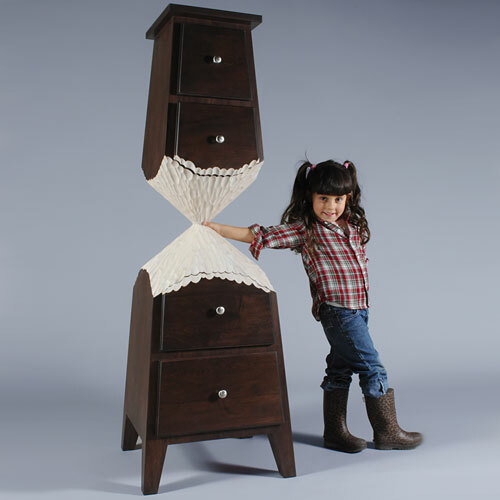 Whether you use it for clothes, toys, diapers or linens, a great dressers can become the centerpiece of your room. 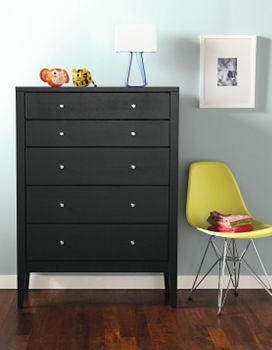 As mentioned earlier, we have the ParkLane style of BabyMod furniture, available online at Walmart.com (For a discussion of Walmart baby furniture, including their business practices, see here). As echoed by many reviewers, the stuff is nice and the price is wonderful for modern design. Better than IKEA, not as nice as Room and Board. The Calvin line at RNB is gorgeous. But for $1200 you’d better make sure your whole family is going to love it for a long time. Of course, safety is always a concern, and even more so in a child’s room. But once you’ve thoroughly inspected your items, why not go secondhand? 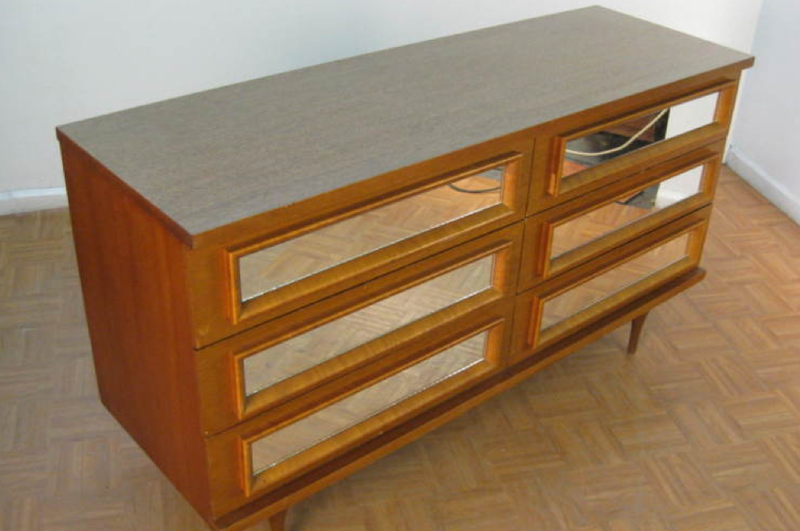 I am dying for this mirror-front mid-century dresser, currently being sold by Seekmod on Ebay for $400! With a storefront based in Brooklyn, this guy has some great stuff. Or, my other current favorite. CB2 has great stuff for kids. Yes, they own Land of Nod, and you can easily go there first. But for furniture you can grow into, that’s not too expensive, and really fun, items like this Shop Chest really fit the bill. 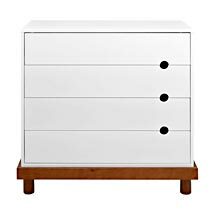 Reminds me of the Craftsman chests of drawers I was always fascinated by during my trips to Sears as a kid (yes, I was an odd child). Or if you’re a celebrity living in LA, an idle millionaire, or someone who likes spending ridiculous amounts of money, there’s always the Beaver cabinet (at top) by Posh Tots. I LOVED this, and then saw the price tag. For $7200, I want to watch a family of beavers carve it especially for me.